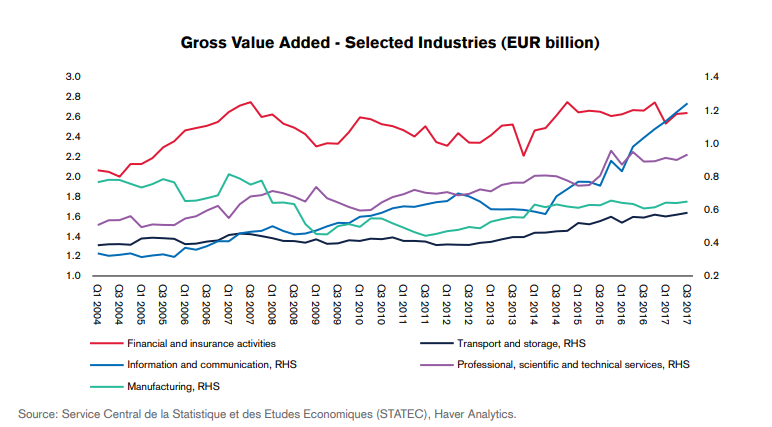 value-added industries continue to advance. Investment in these areas helped Luxembourg develop a strong technological infrastructure. The country is the European leader in digital skills. In the satellite industry, Luxembourg is among the top ten countries in the world with an active space presence.